Author: Chazin, Suzanne Set In . . .
A “sizzling scorcher . . . Full of surprises” from the author of the Georgia Skeehan thrillers Flashover and The Fourth Angel (Cosmopolitan). 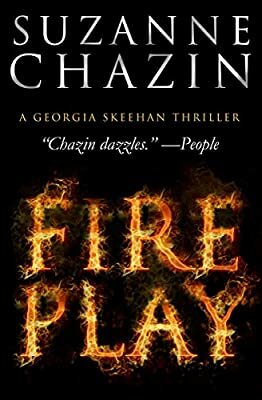 After a fire kills two of New York’s bravest, New York City Fire Department marshal Georgia Skeehan is forced to collaborate with an FBI informant—a slick, vicious arsonist-for-hire known as “the Freezer.” As Georgia is drawn deep undercover, the truth brings her face to face with the one person from her past she doesn’t know she can betray. Torn between loyalty and her own desire for vengeance, Georgia will be forced to get closer to a killer than she’s ever had to before.